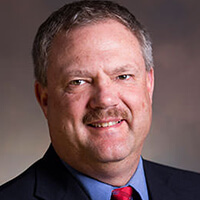 Dr. Dean Bruckner is the program director for the online Master of Engineering Management program and an assistant professor of industrial and systems engineering in Ohio University’s Russ College of Engineering and Technology. He received his Ph.D. in electrical engineering from Ohio University in 2010 and served until 2013 as assistant director–technical of Ohio University’s Avionics Engineering Center, a $5 million/year research, development, test and evaluation (RDT&E) organization for U.S. government and industry sponsors. Before coming to Ohio University, he completed a career in the U.S. Coast Guard as a commissioned officer, electronics engineer, program and project manager, electrical engineering instructor and shipboard deck watch officer. He served as deputy director for policy, guidance and resources of a $120 million per year nationwide Coast Guard electronics systems maintenance and modernization program, and as deputy director of a business case analysis that defined $77 million per year in potential savings to justify logistics transformation for all Coast Guard aircraft, ships, shore facilities and electronics—a business transformation now in full swing. He also served as commanding officer of the Coast Guard Loran-C transmitter station near Istanbul, Turkey. He earned a BSEE from the Coast Guard Academy and an MSEE from the Naval Postgraduate School. He became a registered professional engineer in 2001.